Maria is one of Nike’s most coveted sponsored stars in Tennis, and this dress and collection was very much a collaboration between them both. 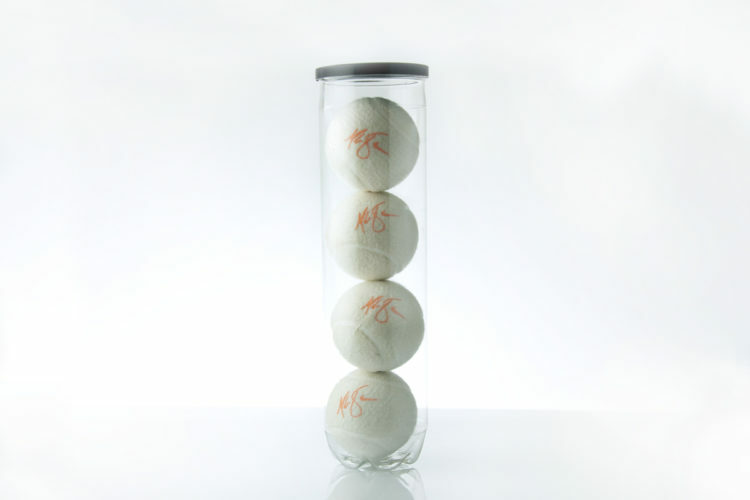 The collection dress was an unusual colour palette of silver grey and apricot which we colour matched to the invitation. 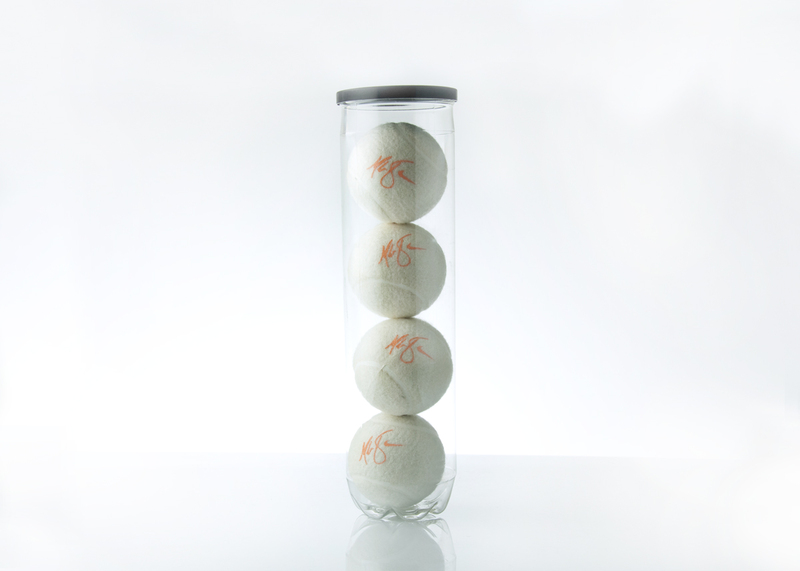 Maria’s signature was the focus on an all white tennis ball that we encased in individual acrylic cubes and enclosed with the label and launch details.